This was a charming love story about two people strapped for cash in London, navigating the demands of a job, rent and relationships, who meet under the most peculiar of arrangements. The Flatshare includes likeable characters, publishing industry jokes, and a touching exploration of the impact of emotionally abusive relationships. O’Leary’s writing was so charismatic and readable that I risked a car nearly knocking me over when attempting the art of reading-while-walking. It was worth it. Besides the quirky setup, the protagonists are overcoming their own personal obstacles. Tiffy is trying to move on from her recently disintegrated long-term relationship and is coming to realise how emotionally abusive her ex, Justin, truly was. Leon, on the other hand, is campaigning for the appeal of his wrongly convicted younger brother while simultaneously working night-shifts as a palliative nurse. These anxieties and life-events slowly reveal themselves in the Post-It notes and I too was falling for each of them as the notes excessively piled up. After months of their notes ping-ponging back and forth, the anticipation of them finally meeting was excruciating. And oh, the moment they finally do is golden. I was grinning like an idiot. This is a quirky romantic novel that illustrates the importance of solid friendships, owning your flaws, finding true love and has a poignant moral behind it all. Despite the hurdles each of them must conquer, love and trust come to the forefront and makes for a feel-good novel that I can’t wait to re-read in the near future. O’Leary has created the perfect British rom-com which was such a joy to read! I couldn’t recommend this more and can’t wait for this to be out in the world. 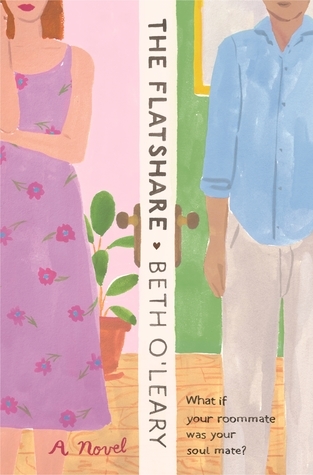 Sign into Goodreads to see if any of your friends have read The Flatshare. 74.0% "I can't have found another 5-star-worthy book and fallen head over heels in love with all the characters again?? It's so quirky and funny and ah, Tiffy and Leon!!"